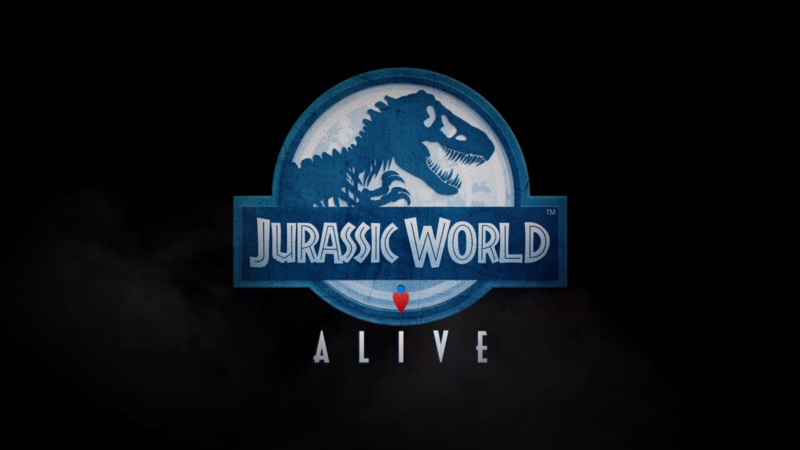 Two months ago I wrote a piece about Jurassic World Alive that talked about how the game was scheduled for an official release sometime in the Spring. Well, it would appear that the developers have stayed true to their word as Jurassic World Alive is officially available on the Play Store as of today. 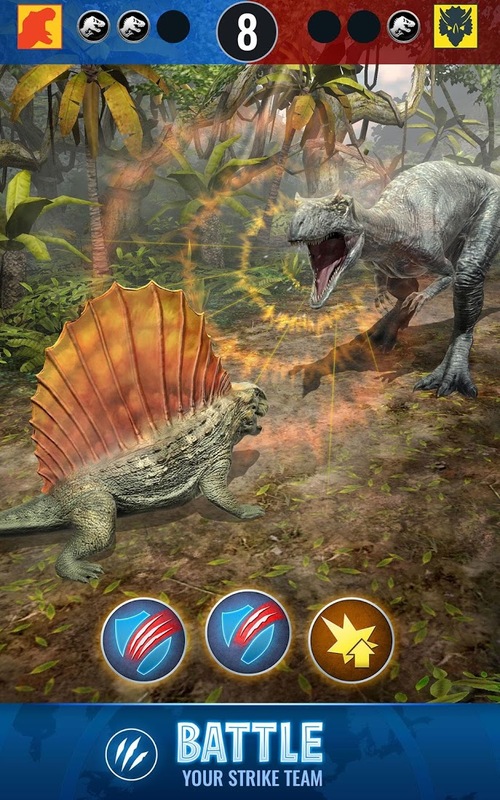 If you weren't already aware, this is an augmented reality game all about collecting dinosaurs. 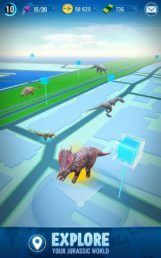 Think Pokémon GO, but instead of collecting hundreds of adorable make-believe creatures, you will be venturing out into the world to obtain the most fearsome dinosaurs known to man and maybe even make a few new species of your own. 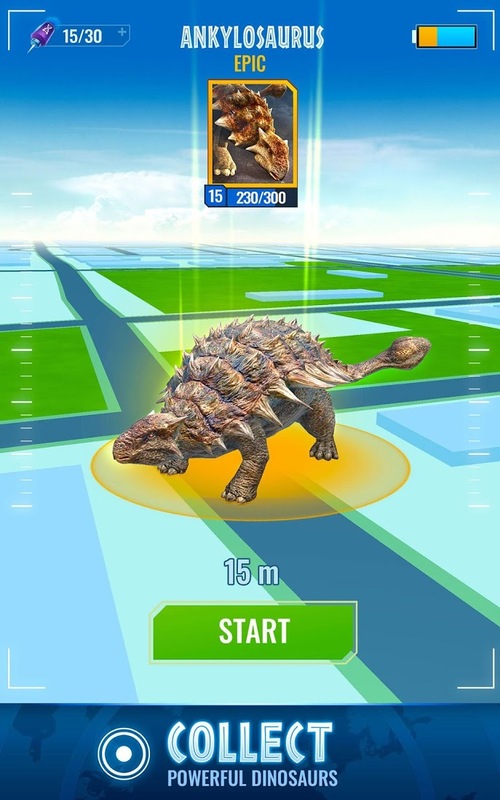 Jurassic World Alive plays very similar to Pokémon GO. Sure, there are quite a few thematic changes, but for the most part, you should be able to pick this up and understand how to play it immediately. After all, what's the real difference between launching a drone to shoot darts at a dinosaur and throwing a magic red and white ball at a Pokémon? They both serve as amusing mini-games that add a little bit of challenge to capturing new creatures. 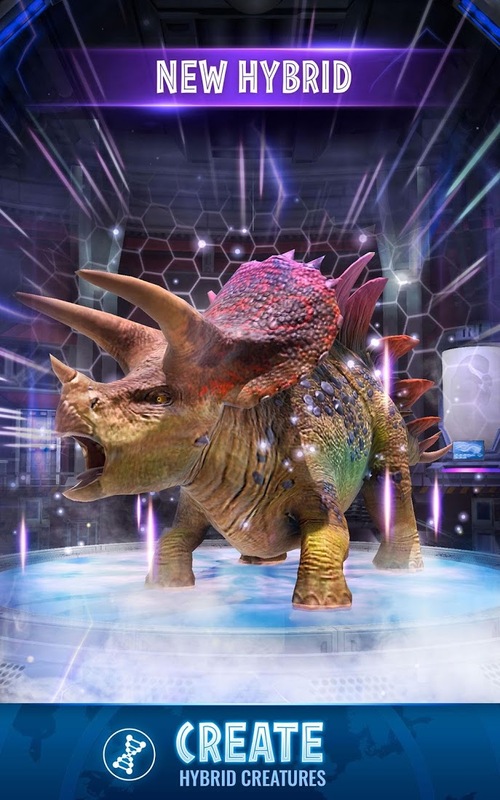 One thing that you can't ignore is that this is a game all about collecting dinosaurs, so like most casual collection games, you can expect plenty of opportunities to create hybrid creatures by combining the genetic traits of multiple species to develop their strengths and abilities. If that sounds familiar, that's because this is similar to how you breed Pokémon. As you would expect this is a free-to-play release. This means you can install and play it for free, though you will have to deal with advertisements and in-app purchases that range all the way up to $99.99 per item. 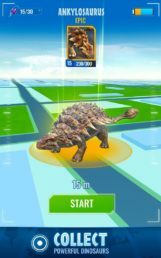 After all, no one said collecting dinosaurs was going to be cheap, at least not if you want to collect them all and stay competitive in the PvP arena. Honestly, I'm finding it difficult to get excited about this release, even though it probably would have been my dream game as a young boy. I mean what youngster wouldn't love to venture out into the world to collect dinosaurs? I suppose it has to do with the fact that AR games like this are nothing new. I've been there and done that, and now I'm over it. But the question still remains, which is better, Pokémon GO or Jurassic World Alive? Considering this may be a question for the ages, I'll just leave it up to you to decide. 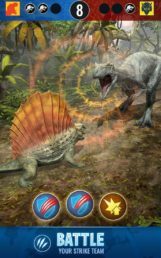 Montreal, Canada, Universal City, CA, May 30, 2018 – Universal, in partnership with top mobile-game publisher, Ludia, today announced the worldwide launch of Jurassic World Alive on the App Store and Google Play Store, the follow up to their hit 2015 mobile title, Jurassic World: The Game. 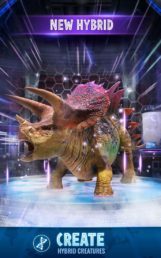 Jurassic World Alive brings players up close with their favorite prehistoric creatures from the Jurassic World film franchise using location-based technology and augmented reality (AR).